I have passionately dedicated the last 16 years to helping people look and feel their best via the field of medical esthetics. I work with a three-pronged approach to skin care: clinic-grade topical skin care (in-office treatments and home care), healthy diet, and herbs/vitamins/homeopathic remedies. Should we work together, this will be the approach I will take to helping you maintain your skin and/or improve any skin problems. My specialties include anti-aging treatments (pro-aging I like to call it), active acne & acne scarring reduction, maintenance skin care, and hormonal skin conditions. I commit myself to educating you on how to take control of your inner health and outer beauty! In 2002, I received my Bachelor’s Degree from the University of Iowa with a major in Communications and minor in Psychology. While attending college, I worked as a nursing assistant at the University of Iowa Hospitals. After college, I worked in the non-profit sector and at the same time I yearned for a profession where I was working straightforwardly with individuals and eventually helping them to enhance their person satisfaction and feel better about themselves. 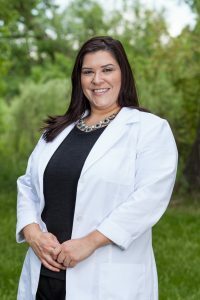 In 2003, I started Esthetics school in Chicago, IL where I trained on the basics of skin care including anatomy of the skin, product chemistry, topical ingredients, facial techniques, and massage therapy. Around two months into school, I began reading the Perricone Prescription by Dr. Perricone, I felt a genuine knowledge that the only way to heal the skin was through sustaining the body appropriately, internally as well as externally. The skin is the largest organ of the body and directly expresses its inner nature- healthy and radiant OR imbalanced and blemish. In 2013, I received certifications in Acute Homeopathy from the Caduceus Institute and as an Acne Specialist from the Face Reality Skin Clinic owner. I studied under Laura Cooksey and, through her, Dr. James Fulton. Dr. Fulton is known as one of the top acne research experts in the world, the co-inventor of Retin-A and the scientist that introduced Benzoyl Peroxide to the world. Their results of curing acne have been replicated across the country with a 95% success rate. I am now equipped with the knowledge and products of these industry acne experts and am excited to share them with you. I also attended the School of Natural Medicine in Boulder in 2013-2015. Due to my passion for healing foods and herbs, my studies started with the Herbal Medicine Program and Healing Diets. In 2014, I received my diploma as a Healing Diets Coach. My studies consisted of: raw foods theory and practice, health assessment and diagnostic skills, herbal medicine, juice cleansing, fasting, longevity diets concepts, food combining, alkaline versus acid and the dis-ease state, and much more. Several years into my career, I partnered with a prominent physician to start a holistic medical spa and wellness center in Chicago. Over a six year time frame at this clinic, I was able to hone my skills in aesthetic medicine and holistic skin care treatments. I have used the following treatments for the last nine years: microdermabrasion, chemical peels, dermaplaning, facials, PDT, Isolaz Acne Therapy, Photofacials, Facial & Leg Vein Therapy, Fraxel, Fractional C02 & Erbium Laser, Laser Genesis, Laser Hair Removal, Blue Light and V-Beam. My skincare journey started early in life when I suffered from consistent teen acne. My gracious mother started sending me to get facials to control the outbreaks, buying up the drug store and eventually taking Accutane. Some things worked for a short while but really I wish I had something like Natural Acne Clinic when I was younger to help with my skin. As I started paying attention to skincare, I began to self educate myself on ingredients and products. My passion for skin care and beauty continued to grow; being the girl you could call to give you an at-home facial or do your make-up for a special event. I ultimately decided to continue my education and graduated from Fort Lewis College in 2007 with a Bachelor of Arts in Business Administration. Afterwards, I worked in computer software and hardware sales in various industries for seven years where I gained a thorough understanding of customer service, organization, and how to work efficiently in a team. After being in the workforce for ten years, I decided I wanted to become more hands on and dedicate myself to a trade. I dug within and stirred my passion for beauty once again. I decided to enroll at the College of International Esthetics in Arvada, CO to persuade a license in medical esthetics. I excelled in the areas of chemical peel, microdermabrasion and skin care coaching. I have been a licensed esthetician since May 2018. I couldn’t have found my true passion more fulfilling. My excitement to change the skin in positive ways and to encourage lifelong skin care habits has given me purpose. When I am not practicing skin care, I enjoy spending time with my husband savoring fine dining, live music and testing the waters at all of Colorado’s therapeutic hot springs. I am eager to address your skin care concerns and devise a plan to help you reach your skin care goals. I am Casey Phelan, and have struggled with acne since I was 16 years old. Having acne made me feel uncomfortable in my own skin. I would wake up and try to avoid the mirror because I knew it would just make me feel awful. Then I discovered Natural Acne Clinic’s Acne-Clearing program. I learned more and more about acne and went through the 3-month program. This program not only cleared but skin but helped give me the building blocks to continue to take care of my skin. I felt more confident and educated on why I was getting acne. Before I became an Esthetician at The Natural Acne Clinic, I studied at the Denver School of Medical and Botanical Aesthetics. Here I learned how to perform facials, microdermabrasion, chemical peels, dermaplane, waxing, aromatherapy, lash and brow tinting and makeup application. I then became a Certified Acne Specialist through Face Reality and completed a Holistic Acne Clearing Program. Now that I am on the other side, I want to educate and help clear as many people as possible. This program is different than other products and dermatologists because we specialize in clearing acne, and are guiding you through a 3-month program that has a 90% success rate using Jessica’s proven Holistic Acne Clearing program. We help to get you clear from the inside out because everything in our bodies works together. Dealing with acne is always hard; however, just imagine how you would feel after taking a few months to become clear and gaining the knowledge to stay clear! 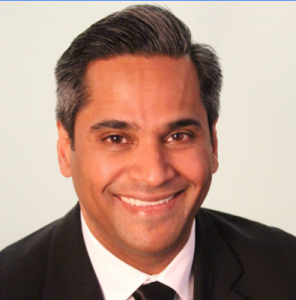 Dr. Manish Shah is a board-certified Denver, CO plastic surgeon who specializes in plastic surgery of the face, breast, body and skin. At his practice, Dr. Shah is committed to the informed patient. By educating patients, he provides them with all the pertinent information to make an informed decision for the best possible outcome. Dr. Shah’s top priority is safe and effective surgery so unlike other doctors, he isn’t afraid to be completely honest with patients. As one of the best plastic surgeons in Colorado, Dr. Shah is focused on natural surgery so he doesn’t perform extreme surgeries. Dr. Shah’s skill and dedication as a cosmetic surgeon have been noted and honored throughout his esteemed career. He is the former Clinical Assistant Professor of Surgery at the Rocky Mountain region’s only academic level 1 trauma center. In addition, he was the Chief of Plastic Surgery at Denver Health Medical Center. Dr. Shah has been listed on the preeminent Marquis Who’s Who in America since 2009. He was also voted one of Forbes Magazine’s “Top Ten Most Dependable Plastic Surgeons of the Western United States” in 2008.